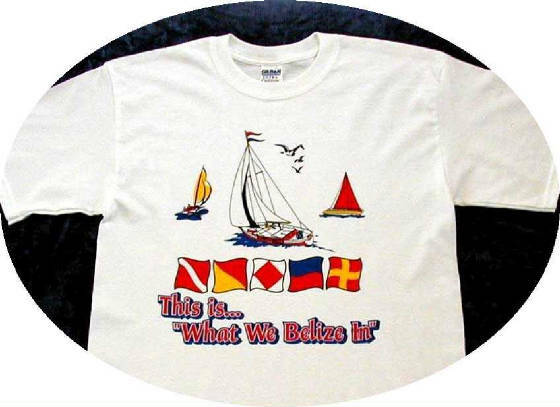 (3) T-Shirt, "What We Belize In" caption with colorful sailboats and nautical flags. This cotton tee shirt comes in size Medium, Large and X-Large. (Please use the "instructions to merchant" section to specify t-shirt size). 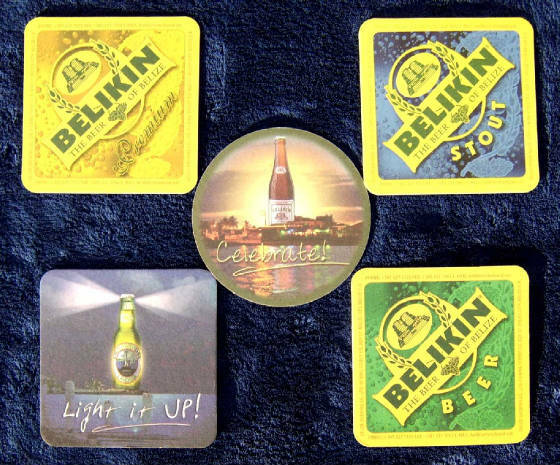 (4) Belikin Beer Coasters... yeah Mon! These are the "All The Girls" collection which come in a set of 5 coasters. These coasters have become collectables so be sure to treat em right when you get em. 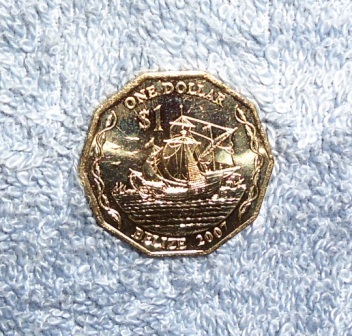 (5) One Belize One Dollar Coin and one Belize Two Dollar Bill. 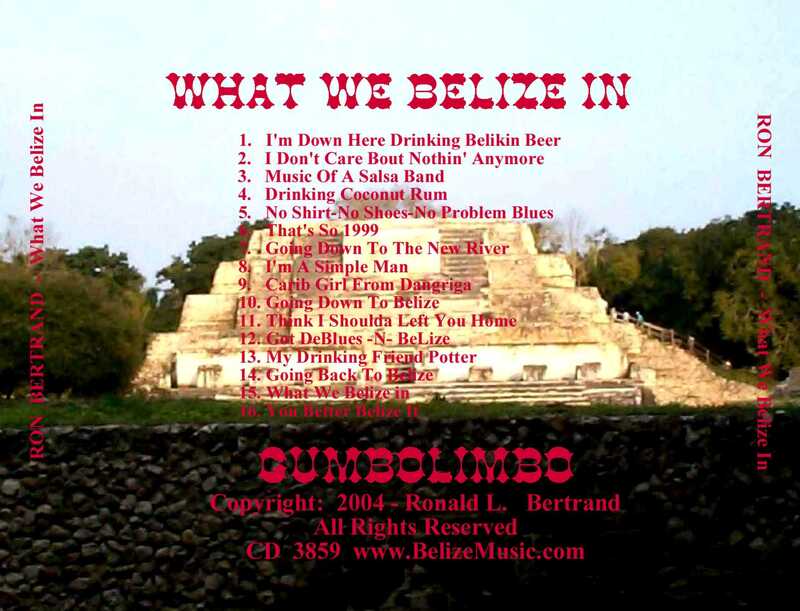 Everything From "Drinking Belikin Beer" To "You Better Belize It". 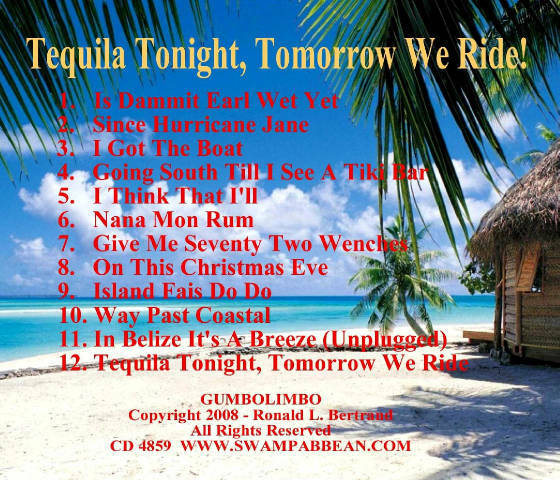 Includes "In Belize, It's A Breeze". Show Em What You Belize In! 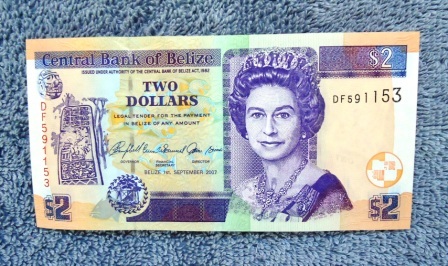 2 CDs, 1 T-Shirt, 5 Belikin Beer Coasters and One Belize One Dollar Coin and One Belize Two Dollar Bill. GUMBOLIMBO is a PayPal verified merchant. We only have a limited quantity of the Belikin beer coasters. If we run out of them we'll provide a three dollar rebate to your order instead of the coasters. The T-Shirts are available in Size: Medium, Large or X-Large. Please use the "instructions to merchant" section when ordering to specify t-shirt size. Thanks, and remember... "You Better Belize It".